For all researched British destroyers the wide spread of TT was replaced by a narrow one, which is similar to of British cruisers’ TT. The firing angles of some turrets of British destroyers from Tier III to X has been increased. This allows destroyers to feel more comfortable in melee combat and in battles with ships of the same class. Wakeful – the ability of #3 turret to rotate 360 degrees has been removed. Icarus – reload time of researched torpedoes has been reduced from 133 to 120 seconds. Jervis – added the ability of #3 turret to rotate 360 degrees. The ability to rotate 360 for the 2nd TT has been removed. Lightning – main battery reload time has been reduced from 5 to 4.5 seconds; the horizontal rotation speed has been increased to 20 degrees per second; the ability to rotate 360 degrees has been added for all turrets. Jutland – the ability to rotate 360 degrees has been added for 1, 2 and 3 turrets; “Fire Control System, Modification 2” is now available for installation; the maximum range of basic hull has been reduced from 12,01 to 11,37 km and from 13,21 to 12,51 on upgradable hull. Daring - for 1, 2 and 3 turrets added the ability to rotate 360 degrees, added the ability to install upgrades "Fire control system Modification 2", the maximum range has been reduced from 13.78 to 12.78 km. Restricting the rotation of some turrets was made to bring logical behavior to the armament group on a ship and for synchronous rotation. Reduction of range was implemented to make it less excessive and more efficient. When firing main battery guns, destroyers will be spotted at maximum firing range but at the same time, because of ballistics, firing at a target at the limit is inefficient. 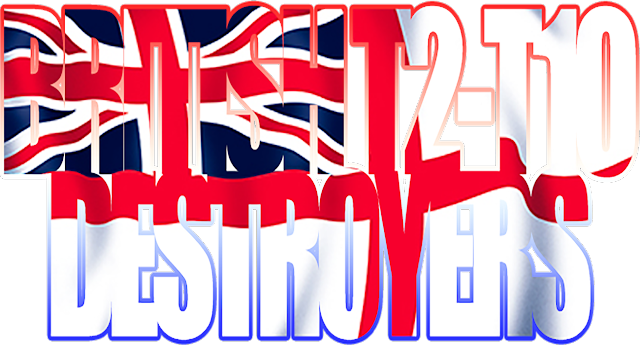 The speed and acceleration settings for all researched British destroyers and Cossack has been improved. These settings are similar to British cruisers. Now destroyers gain their speed faster and lose it less when turning. “Engine Modification 2” is now unavailable for installation. 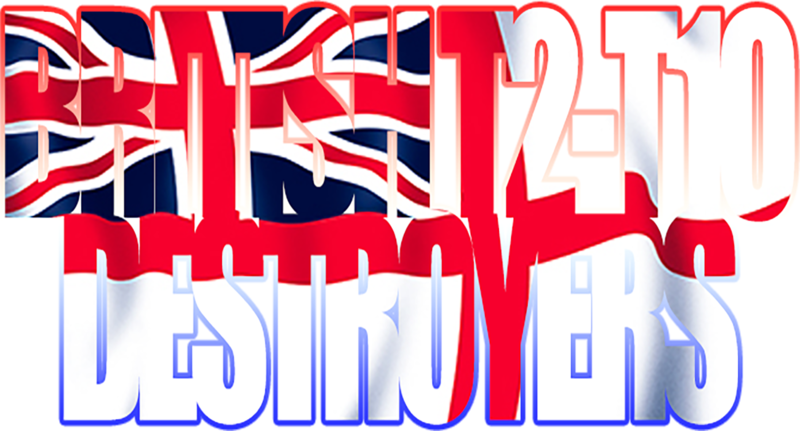 These changes are intended to improve British destroyers gameplay in melee combat and highlight their role of “defensive” and slow ships, with bigger smoke’s range and Hydroacoustic Search consumable. 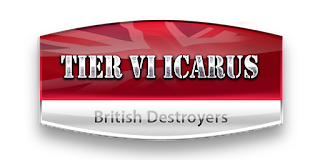 Smoke generator’s settings have been changed for all researched British destroyers. Duration of a smoke screen has been reduced to 40 seconds. It used to be up to 113 seconds depends on a level. Cooldown has been reduced from 240 and 160 to 80 and 60 seconds for default and upgraded equipment respectively. Number of charges has been increased from 2 and 3 to 5 and 6 for default and upgraded equipment respectively. Updated equipment characteristics will make destroyers more mobile when it comes to tactics and be more efficient in their role of defensive ship. These changes also allow to leave a smoke screen in case of a danger without losing destroyers efficiency. We often come across questions about British torpedoes and now we would like to answer to them. We don’t consider any more changes which can influence the whole tech tree besides those we have already announced here. 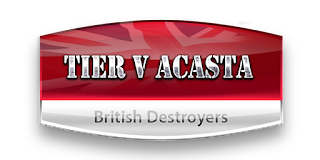 British destroyers are mostly hybrid destroyers and have pretty good weapons with a high chance of setting fires. Moreover, in the current testing stage these ships have two options of torpedo firing: a narrow fan and a single fire. The single fire in a battle gives a nice opportunity to launch torpedoes in a line and increase the chance that all of them will reach an enemy. The single fire also allows to launch limited amount of torpedoes and save other ones for the right moment. IMPORTANT! Because the Ships are still being tested, the information in this Article is tentative and reflects the state of game development at the time of its publication. Changes and new features may be removed entirely or implemented differently by the time the Ships go live. Screenshots, specific values of certain characteristics, and details of in-game mechanics will not necessarily be relevant after the Update is released.